Summer is FINALLY here, (although it feels like it's been around for awhile!) 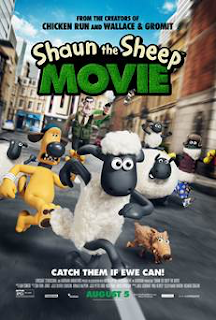 and we’re amping up the sunshine and happiness with the worldwide sensation SHAUN THE SHEEP MOVIE! Headed to a theater near you AUGUST 5, Shaun and his flock are off on an unexpected and exciting adventure to the Big City. Experience all the good summer feels by watching this charming farm family grow up right before your eyes in the delightful “Feels Like Summer With You" Music Video.